Birch tends to discolor and darken when artificial methods such as vacuum or high temperature drying are used to prepare the wood. When air-dried conventionally, the cambium layer about 1/5 inch below the surface remains light in color while the inner layers darken. Vacuum drying and high temperatures increase the darkening effect throughout the wood. 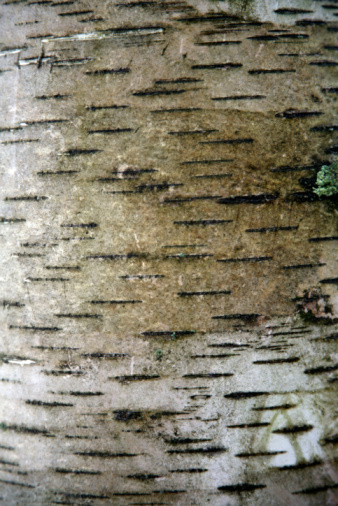 Birch felled in winter, and stored for several weeks before air drying, produces a lighter wood. Birch felled in autumn, and stored for five weeks before undergoing vacuum or high heat drying, also ensures a lighter finished color. Drying methods definitely affect wood appearance. Birch dries best slowly and naturally. Cut a birch tree into logs using your chain saw. The length of the cut will depend on how you intend to use the dried wood. Melt paraffin on low heat until it reaches the consistency of paint. Seal the ends of your logs with liquid paraffin applied with a paintbrush. Place supports made from 2-by-4s under and between the drying logs. Store the logs in a cool, protected, well-ventilated storage shed. Allow the logs to air-dry naturally. Check the moisture content of your logs using a moisture meter. Record the reading. Repeat the measurement once yearly. 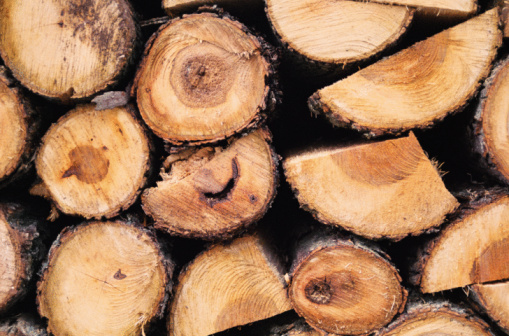 Dry the log until the wood reaches the moisture level recommended for the project in which you'll use the wood. This information is available by consultation with your local lumber mill operator.